Post by Philip Przybyszewski, DC Office Intern. A view of the far-reaching canopy and the Pacific Ocean from up above. No, this isn’t just an issue for raving environmentalists. This is a big deal for everyone. Even though they only cover 2% of the Earth’s surface, they are of utmost importance to all species, particularly humans. Tropical rainforests are the wettest, most vegetation-intense biomes in the world, so densely-grown that a canopy is formed that weaves together the ecosystem into a far-spanning green landscape. Incredibly, this ecosystem is said to sustain over 50% of the world’s species. Often, these species are endemic, meaning they only inhabit these specific regions covered by rainforest. The diversity in the kinds of species present is unbelievable: from primates to felines, amphibians to insects. 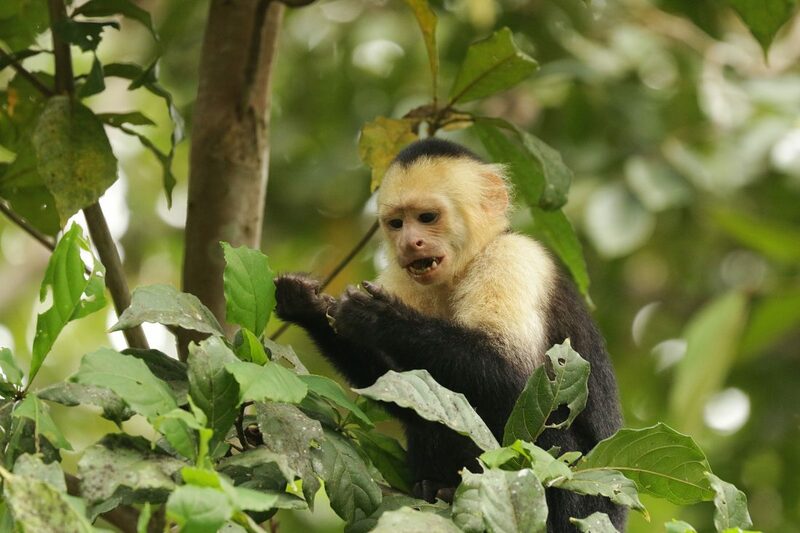 A Capuchin monkey scours the tall trees and swings through its habitat in the canopy. Photo by Manuel Sánchez. For humans, rainforests are vital in diminishing the impact of climate change, as the dense vegetation absorbs CO2 and produces oxygen. Rainforest plants store the carbon emitted from human economic activity and offset the key negative impact of fossil fuels on the environment. Despite the clear service provided by this ecosystem to all species on Earth, their presence is dwindling, with an estimated 78 million acres lost every year, deforested to make room for hydroelectric dams, agricultural development, and mining operations. In the process of these globally-significant economic activities, humans destroy carbon-holding vegetation and simultaneously release more carbon dioxide into the atmosphere, while eliminating one of the Earth’s best ways of storing it away. 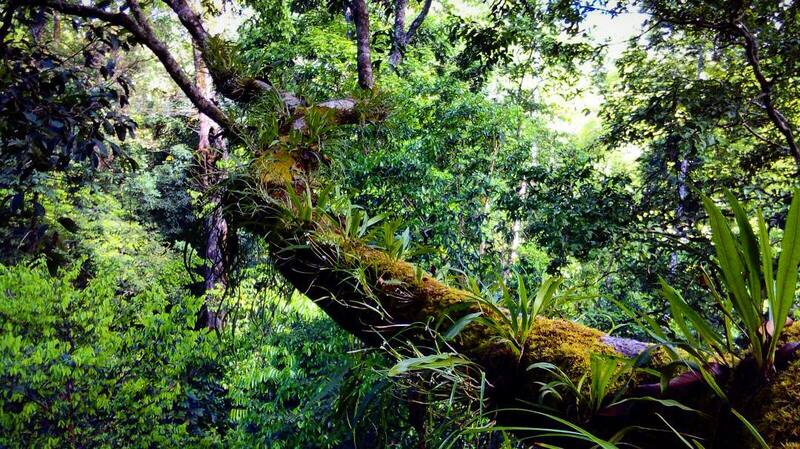 The tropical wet forest of the Osa Peninsula is incredibly rich in green vegetation. Here is just one angle covered by a camera trap. 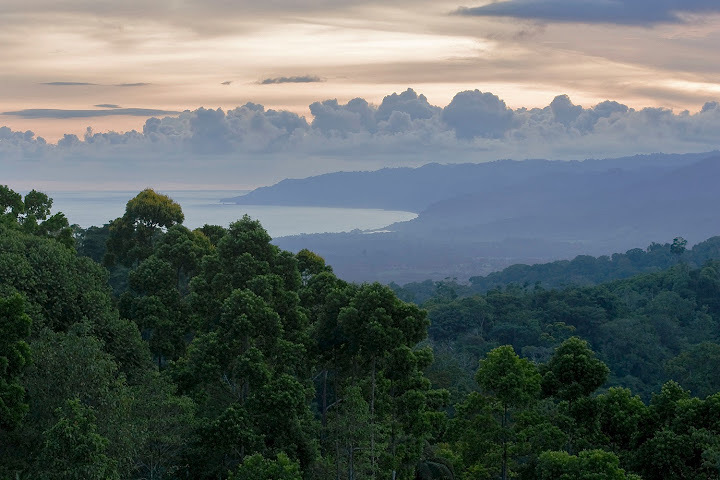 The Osa Peninsula is predominantly classified as a tropical wet forest, the biome most conducive to the flourishing of a rainforest. 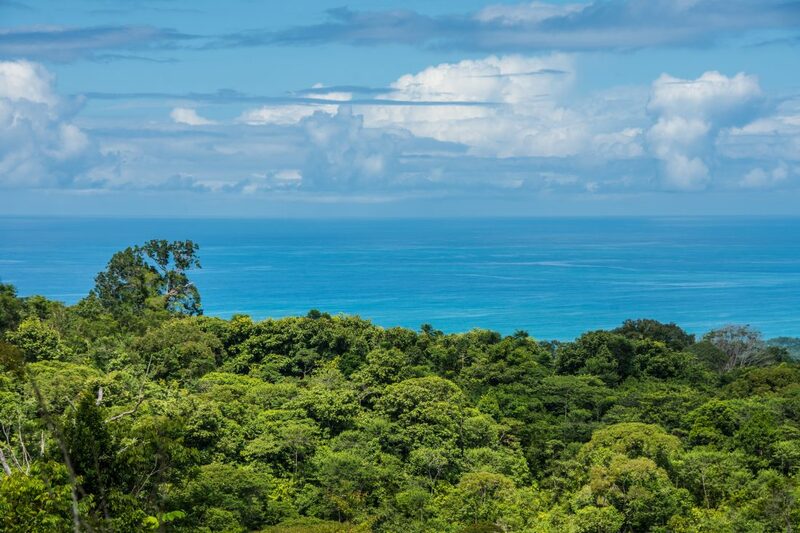 This small part of Costa Rica, alone, has over 300 species found nowhere else in the world and has the most intact system of mangrove forests and wetlands in all of Central America. Protecting tropical rainforests has been a local priority with global significance: rainforest health not only preserves the habitat of thousands of species, but also mitigates the negative impacts of unsustainable human economic development. The decisions of a geographically-limited few affect everyone, in the sense that Osa Conservation’s mission to preserve and protect the tropical rainforest of the Osa plays a small, but important part in the reduction of atmospheric carbon dioxide. Massive, rain-carrying clouds form and unleash torrents of water daily in this tropical environment. The intensive growth of the rainforest would be impossible without the sustenance provided by the beautiful thunderheads in the distance.